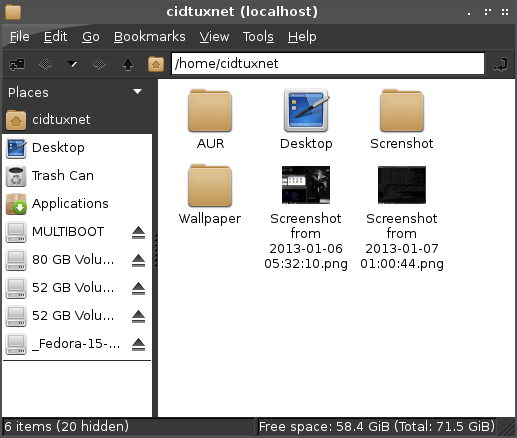 To be able access internal drive/ usb media using any file manager you must install gvfs & polkit-gnome. And for NTFS / Fat32 you must install ntfs-3g too. If done, logout and relogin to see the changes, open file manager, for this example i using pcmanfm. For USB media will be auto mount and there will be notification window. Mount the drives using pcmanfm/other file manager. You will be found path to the partition like this. Thats the target mount. Every drive have different path. I just add like this below. maybe it will be different from yours. Then save it. Try reboot, now your internal partition will be auto mount.